Keane release new Single "Sovereign Light Cafe"
Following the 200,000+ sales of his top 10 debut album Every Kingdom in the UK alone, two sold-outs tours of the US (multiple, and contemplating a hectic Summer of festival appearances ahead of his biggest, UK tour to date, Ben finds himself positioned as one of the most successful young singer-songwriters from the UK and Europe in years. Old Pine is a woozy, languid song, both cathartic and quietly euphoric. A long-standing live favourite, Ben’s percussive perfection is matched with the driving intricacies of his guitar playing and, smoky controlled voice. 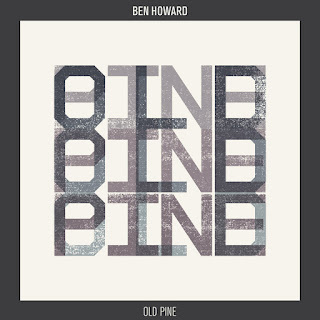 Originally released in the Spring of 2011 as an introductory EP through Communion Records, Old Pine has already played a crucial part in introducing Ben to a bigger, broader audience. He has since played to over 80,000 thousand fans at over 120 sold out performances. His UK tour later this year has now sold in excess of 50,000 tickets alone, culminating in three sell-out nights at London's Brixton Academy. Ben Howard’s music harks back to a classic and comforting time of old, albeit with a forward-thinking method of guitar performance. 2012 has very much been his year, with over six months of it still to enjoy. Devlin is pleased to announce details of a UK tour for later this year. The Dagenham born rapper will play four shows in November in support of his forthcoming second album, A Moving Picture, released on the 29th October. The dates kick off in Birmingham on the 9th November, and conclude at London’s Scala on the 13th November. Tickets are £11.50 (London £13.50) on pre-sale from 17th July, and on general sale from 20th July through www.livenation.co.uk and www.gigsinscotland.com. As previously announced, Devlin’s forthcoming single (All Along The) Watch Tower Ft. Ed Sheeran is out on the 20th August through Island Records. Alex Clare new single/video "Treading Water". Following the enormous worldwide success of his recent hit single, “Too Close”, as featured in the multi-million dollar Microsoft internet explorer ad, Alex Clare has his new single “Treading Water”, released on August 13th through Island Records. Sales of “Too Close”(1.5 million and counting) exploded in all territories that carried the advert and that looks set to continue as the campaign is now being extended in new countries including France and Brazil. Both “Too Close” and “Treading Water” singles are taken from Alex’s hugely acclaimed debut album ”The Lateness Of The Hour”. “Too Close” peaked at #4 in the UK chart where it remained in the top 10 for 5 weeks, selling over 400,000 copies in the UK alone, while the accompanying video racked up over 12 million views. The album, released to widespread acclaim a year earlier, has now shipped 60,000 in the UK while Alex also recently made a triumphant return to the UK live stage with a triumphant sell-out gig at the Scala in London. A second London date, at KOKO on October 25th has already sold out. “Too Close” has also been a massive hit internationally. The single is currently flying in the US where it has been certified Platinum while in Germany ‘Too Close’ topped the sales chart, and the iTunes chart while racking up Platinum sales. A few months ago the situation wasn’t quite so rosy. Following disappointing sales for “The Lateness Of The Hour”, despite serious online heat, fantastic press reviews and significant radio support, 26-year old Londoner Alex decided to step back, put his music career on hold while he figured out his next move. In the meantime he kept receiving emails asking if his single “Too Close” could be used in a Microsoft ad. Eventually he agreed and thought no more of it. Microsoft poured millions of dollars into a massive US ad campaign with 60-second spots broadcast during prime-time TV shows and in cinemas before major titles like "The Hunger Games." TV viewers and cinema-goers began Shazam-ing the song and searching for the track on YouTube and iTunes. By the week ending April 1, the song had debuted at No. 68 on the Hot 100, and had sold well over 100,000 downloads. The Microsoft campaign was then launched in the UK leading to even greater success. This newfound attention comes nearly two years after the first sessions for "Lateness of the Hour" first began with Diplo and Switch in New Orleans. The renewed interest in Clare's music has prompted the 26 year old Golders Green native to head back in the studio to start work on a planned new EP. Celebrated Icelandic indie-pop sextet Of Monsters And Men, will release their boisterously catchy, chart topping second single ‘Little Talks’ on the 6th August through Island Records. Since winning a local battle of the bands competition less than twelve months ago, Of Monsters And Men’s trajectory to music’s upper echelons has been unstoppable. The band’s debut album ‘My Head Is An Animal’ has already enjoyed huge success in Iceland and Europe. Mirroring that feat in America, ‘My Head Is An Animal’ went to #1 in the iTunes album chart and saw the band appear on Jimmy Fallon in May. Following that performance, Of Monsters And Men have been confirmed to appear on Jay Leno later this month.‘Little Talks’ follows debut single ‘Dirty Paws’ which enjoyed huge support across the UKs top radio stations. Dusting away years of cultural stereotypes with its rousing feel good lyrics and irresistible melodies and hooks, ‘Little Talks’ is unquestionably the sound of this year’s summer. The video for ‘Little Talks’ has already received over 8 million views and the single shows no signs of stopping there with a packed summer of festival and live performances lined up.After selling-out their debut London shows in less than two hours, Of Monsters and Men return to the UK in July having sold-out their Scala show in London, whilst also announcing new UK tour dates in August along with appearances at Latitude, Reading and Leeds. 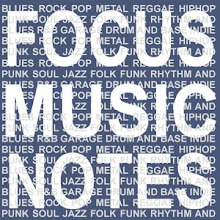 Jessie Wares soulful, melancholy vocal and effortlessly elegant songwriting skills have already cemented the South Londoner as one of 2012s brightest hopes. With three singles already under her belt, new track ‘Wildest Moments’ combines the ultra-modern feel of downtempo R&B and British electronic music, released on August 13th through PMR Records, the song is the perfect pre-cursor to her eagerly awaited debut album, ‘Devotion’ released August 20th. Produced by Dave Okumu, ‘Wildest Moments’ is of particular significance to Jessie as she explains; “Wildest Moments is about a tempestuous relationship. The extremes of being the best and then the worst together” An intimate gig at the Nave church in Islington in March 2012 marked Jessie’s biggest headline show to date and also the moment it all came together. Looking every inch the classy pop star, Jessie blew the room away, with the help of her live band. August 15th see’s Jessie bring her live show South of the river when she’ll play a homecoming show at Plan B in Brixton. 21 year old Salford born singer Ren Harvieu, whose breathtaking voice has had the critics reaching for the superlatives and whose critically acclaimed debut album “Through The Night” stormed into the UK chart this week at no. 5, releases her new single “Tonight” on July 23rd through Kid Gloves/Island Records. Ren has just announced her first major UK tour for October. Fans will get the chance to catch Ren and full band live at T In The Park - 6- 8th July, Camp Bestival – 29th July, V festival 18/19th August and Bestival – 9th Sept. Ren Harvieu, just turned twenty one, is self-made, not your typical modern day popstar. She sounds one way and looks and acts completely differently. No Brit School training, no showbiz connections, just a young girl with a truly remarkable voice and a set of songs that will stir your soul and break your heart. Ren sang in the odd local talent show, one called ‘Salford Superstar’ and attended what she calls the Primark version of a performing arts school where she was told she couldn’t sing. Through a chance meeting she recorded a couple of songs which the guy who was to become her manager heard. Immediately realising he had come across a truly unique talent, he helped her record properly and soon after, on the strength of a handful of stunning songs, they had a deal with Island Records. “Through The Night” was originally set for release in the summer of 2011 when Ren suffered a terrible accident which left her with a broken back and not knowing whether she would ever walk again. Following a harrowing spell in hospital, Ren began to make, what the doctors called, a miraculous recovery. She’d just been to the US for the first time to record a song with rapper Nas, who had heard and instantly fallen in love with Ren’s voice, made her first video and found out that she was to perform on the BBC Introducing stage at Glastonbury. Things couldn’t have looked any rosier. Then completely randomly, a guy, messing about at a party vaulted over a hedge, hurtled through the air, and landed on Ren’s spine. One of the few bright moments during her 2 month hospital stay came when she received a phone call from one of her childhood heroes, Johnny Marr. He had heard she wasn't well; he had also heard Through The Night, and had tweeted about this fabulous new singer from his hometown. He wanted to meet her, and make music with her, when she was ready to. Thankfully after two months of operations and intensive rehabilitation, Ren left hospital and is now finally set to let the world hear and see hear sing her wonderful songs. Ren has also recently recorded a cover of the Vashti Bunyan classic “The Train Song” with Karen Elson. The two met via a mutual friend and have just shot a video for the song in Nashville.